On November 9, the Department of State posted a notice regarding the Ethiopian Ministry of Women, Children, and Youth Affairs’ temporary suspension of services to Adoption Advocates International effective September 12, 2012. On December 27, the Ministry informed the U.S. Embassy in Addis Ababa that as of November 30, 2012, it lifted the temporary suspension on services provided to Adoption Advocates International. The Nepali Ministry of Women and Child Social Welfare (MWCSW) informed the U.S. Embassy in Kathmandu that as of December 2012, there are seven U.S. adoption service providers authorized to facilitate adoptions in Nepal at this time, and another ten U.S. adoption service providers whose authorization is pending payment of a $5000 fee to the Nepal Child Right Fund. According to the MWCSW, the authorization of all adoption service providers, including those currently authorized and those with pending authorization requests, expires on December 31, 2012. The MWCSW is currently soliciting new or renewed accreditation by international adoption service providers for dossiers submitted during a two-year period beginning on January 1, 2013. Before embarking on an adoption in Nepal, prospective adoptive parents are strongly urged to confirm with the MWCSW that their adoption service provider is authorized to facilitate adoptions in Nepal. Contact information for the MWCSW may be found on the Country Information Sheet for Nepal. A copy of the MWCSW’s current list of Nepali authorized foreign adoption service providers may be obtained by writing to the U.S. Embassy at adoptionsnepal@state.gov. By way of background, on August 6, 2010, the U. S. Department of State and U.S. Citizenship and Immigration Services (USCIS) suspended processing of new adoption cases from Nepal involving children claimed to have been found abandoned because documents presented in support of the abandonment of these children in Nepal were unreliable. Cases involving relinquishment by known birth parent(s) were not affected by the suspension. In December 2011, the Government of Nepal informed the U.S. Department of State that there may be a small number of children who will be found eligible for intercountry adoption by the Government of Nepal as relinquishment cases. The U.S. Department of State continues to strongly recommend that prospective adoptive parents refrain from adopting children from Nepal due to grave concerns about the reliability of Nepal’s adoption system and credible reports that children have been stolen from birth parents, who did not intend to irrevocably relinquish parental rights as required by INA 101(b)(1)(F). We also strongly urge adoption service providers not to accept new applications for adoption from Nepal. The U.S. Embassy in Kathmandu continues to encourage the Government of Nepal to work with the international community, including the Hague Permanent Bureau, to implement the Hague Adoption Convention and reform its adoption process to protect children and families. We will continue to keep you updated through adoption.state.gov as additional information is received. This link will also provide additional information and past adoption notices and alerts on the detailed concerns found in Nepal adoptions. Please refer to USCIS.gov for Special Instructions for How and When to File Adoption Petitions on Behalf of Nepali Children. PEAR has received a number of reports from adopting families and NGOs on the ground in Democratic Republic of Congo (DRC) regarding unethical conduct by adoption agencies, adopting families, local facilitators/attorneys, orphanage personnel, and officials in the DRC. These reports have come to us over the past year via informal notifications (individual emails, adoption chats, facebook postings), agency website information, blogs, media, NGO reports, US Department of State and Embassy communications, and direct communications with adopting parents and NGOs working with families and children on the ground in the DRC. report any misgivings or suspicions concerning illegal or unethical conduct to appropriate US and Congolese officials. In addition, we urgently call on the governments of the DRC and the United States to investigate allegations of corruption thoroughly and take any and all measures necessary to address these issues with honesty and transparency in order to protect Congolese children and families as well as US citizen prospective adoptive families. It is the duty of the US Embassies abroad to protect US citizens. Withholding critical information concerning adoption agencies, facilitators, and case trends from US adopting families is placing them at risk of involvement in illegal and/or unethical adoptions. Reports that orphanages are not using the money donated by agencies and adopting parents for the care of children. Donations run anywhere from $800-10,000 for "humanitarian aid" and "upkeep" of the child while in their care. These same orphanages are not accountable for their funds and repeated visits by adopting parents reveal the children in a continued neglected state and gift donations no where to be found. PEAR has received numerous notifications from both adoptive families and NGOs on the ground in DRC concerning this issue. Repeated reports from foreign NGOs and adopting families of child laundering, baby selling, kidnapping, and coercive relinquishment practices called “harvesting”. See both What Happened? Delighted In The Lord Blog, 9/27/2012, http://delightedinthelord.wordpress.com/2012/09/27/what-happened/) and Combatting Corruption in Congo, MLJ Adoption Blog, 6/20/2012, Sonja Brown, http://mljadoptions.com/Media.aspx?articleID=512 for referral to criminal conduct in adoption. Program growing too quickly without being tested for stability and capacity, creating huge potential for ethical/legal issues due to unrealistic expectations by PAPs and agencies and increasing pressure on local authorities to produce “adoptable” children. In 2008, there were 9 adoptions from DRC to the US. In 2011, that number increased to 133. We have received preliminary reports that numbers for 2012 are at least double. Historically speaking, when an increase of this magnitude happens, the ethics of the program decrease as participants engage in exploitative measures to increase profits. This recently happened in Guatemala, Vietnam, and Ethiopia. While there are many vulnerable children in need of care, the competition in intercountry adoption programs for young, healthy children with “documentation” invites the use of unethical and illegal practices both in finding children and filling orphanages that are merely holding places for children destined for intercountry adoption. Inconsistent and inexplicable fees. According to the US Embassy in Kinshana, the following fees are typical within DRC for the purposes of completing an adoption: Court fees for an adoption case average between $100 and $300. Lawyer fees can range from $1,000 to $2,500. http://kinshasa.usembassy.gov/adoption.html Currently, some US agencies are listing “Foreign Fees” that far exceed the costs enumerated above while others appear to reflect true costs. For example, Wasatch International’s foreign fee for DRC is $15,000, whereas Lifeline lists their foreign fee as a mere $1000. MLJ Adoptions does not breakdown an exact amount for the foreign fee, listing it instead as combined with in-country services for the child pending adoption, hotel costs for the family while incountry, and deposits on post placement visits ($500), the total of which is $24,000. The average annual income in DRC is $675 per year (compare to USA $45835.5 in 2008). Lawyers fees for adoption are $1,000 to $2,500, where is the remaining money going to? We are dismayed to make this recommendation in light of the high numbers of children in need in DCR. However, we believe that the focus in DRC has shifted from finding solutions for children in need of families to finding children to fit the needs of an increasing number prospective adoptive parents. We suspect that some agencies are unrealistically recruiting families into DRC programs to fill the financial gap caused by recent closures and slow downs in previously high-volume countries. Adopting from Africa, Saving the Children? Think Africa Press 6 August 2012 by Elizabeth Willmott Harrop http://thinkafricapress.com/legal/adoption-trade-sets-shop-africa. If, after reading the above, you are determined to adopt from DRC, please do everything in your power to ensure that your child is a true orphan in need of intercountry adoption as the only viable option of alternative care. Follow the tips and suggestions for those adopting from Congo that are found here: http://kitumaini.blogspot.com. PEAR continues to monitor adoption from DRC and will update our recommendations when believe adequate controls have been put into place to ensure ethical adoptions. On December 28, President Vladimir Putin signed Federal Law No. 186614-6 which prohibits the adoption of Russian children by U.S. families. This law will go into effect on January 1, 2013. The Department of State remains actively engaged with the Russian government to determine how this will impact the resolution of adoptions by U.S. families in various stages of the adoption process. In keeping with the spirit of the current U.S.-Russia adoption agreement, we have urged the Russian government to ensure that U.S. families in the process of adopting a child from Russia will be able to complete their adoptions so that these children may join permanent loving families. The Department continues to encourage U.S. families in the process of adopting a child from Russia to provide information regarding where they are in the adoption process to the Office of Children’s Issues using the subject line “Intercountry adoption in Russia – family update.” An email address has been set up for this correspondence: Russiaadoption@state.gov. Those families that have already provided information to AskCI@state.gov do not need to resend their information. As more information is obtained we will reach out directly to families that have provided their contact information. Further information regarding intercountry adoption from Russia will also be posted on www.adoption.state.gov. In Russia, U.S. citizen adoptive parents who completed an adoption, received a Russian passport for their child, and have filed or are ready to file Form I-600, Petition to Classify Orphan as an Immediate Relative, and apply for the immigrant visa at U.S. Embassy Moscow should call +7-495-728-5000 or email the Moscow U.S. Citizenship and Immigration Services Field Office at Moscow.dhs@dhs.gov to request assistance. Absent additional information about the impact of the law, families who have received immigrant visas for their children should make every effort to depart Russia before January 1. The US Department of State, Office of Children's Issues and the USCIS are requesting that families in process of adopting from Russia use the following contacts for issues surrounding the adoption ban. 2. For families in process of adopting at any stage of the adoption, please register your information with DOS Office of Children's Issues by using the following email address: russiaadoption@state.gov. Please place "Intercountry Adoption Russia - Family Update" in the Subject line. Please discontinue using the ASKCI@state.gov address for family registration. Please do not use the russiaadoption@state.gov address if you are not a family in process. PEAR strongly encourages families to reach out to the DOS/OCI and the US Embassy in Moscow for direct communication and advocacy of your cases. There is little need at this time to register your information with other organizations. DOS will have the information needed before any other entity and will be sure to provide consistent and vigilant advocacy on behalf of waiting families. 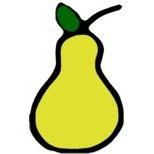 PEAR will closely monitor developments and may suggest other courses of action in the coming days. We deeply regret Russia’s passage of a law ending inter-country adoptions between the United States and Russia and restricting Russian civil society organizations that work with American partners. American families have adopted over 60,000 Russian children over the past 20 years, and the vast majority of these children are now thriving thanks to their parents’ loving support. The Russian government’s politically motivated decision will reduce adoption possibilities for children who are now under institutional care. We regret that the Russian government has taken this step rather than seek to implement the bilateral adoption agreement that entered into force in November. We are further concerned about statements that adoptions already underway may be stopped and hope that the Russian government would allow those children who have already met and bonded with their future parents to finish the necessary legal procedures so that they can join their families. The limitations imposed by the Act on Russian civil society’s ability to work with American partners will also make it more difficult for Russian and American non-governmental organizations to cooperate in areas as diverse as human rights advocacy, open government, and electoral transparency. The United States remains committed to supporting the development of civil society and the democratic process around the world, including in Russia. The Department of State continues to follow developments in Russia related to Federal Law No. 186614-6 and remains actively engaged in discussions with the Russian government regarding concerns that, if signed into law, this legislation will needlessly remove the opportunity for hundreds of Russian orphans to join loving families each year. The Federation Council (the upper house of the Russian Parliament) approved the legislation in a unanimous vote on December 26 and it will now go to President Vladimir Putin for signature or veto. The Department of State has not received any notice that adoptions to the United States are suspended, and both the Department of State and U.S. Citizenship and Immigration Services continue to work closely with Russian authorities on intercountry adoption issues as set forth in the U.S.-Russia adoption agreement. U.S. families currently in the process of adopting a child from Russia are encouraged to reach out to the Department of State at AskCI@state.gov to provide information regarding where they are in the adoption process. We encourage families to use the subject line “Intercountry adoption in Russia – family update.” We will seek to provide information directly to families that contact our office through email as it becomes available. Information regarding the passage of any legislation that affects U.S. citizens who are in the process of adopting a child from Russia will also be posted on adoption.state.gov. On December 21, 2012, Russia’s legislature overwhelming supported the proposed Federal Law No 186614-6, also known as the Dima Yakovlev Law, which includes dissolving the current Bi-lateral Agreement on Adoption and bans the adoption of Russian children by US Citizens. The proposed Russian law contains other provisions that bar travel and the running of NGOs by US citizens. Dima Yakovlev Law was written in retaliatory response to the U.S. passage of the Sergei Magnitsky Rule of Law Accountability Act, which imposes sanctions against Russian officials perceived by the U.S. to be guilty of human rights violations in Russia. We at PEAR are deeply concerned with the manipulation of children’s issues as a retaliatory weapon and wish to express our opposition to such practices. We understand the Russian government’s concern with the past death and abuse cases by American adoptive parents, and agree that much more should be done to vet adoption agencies, adoptive parents, and post-placement issues. However, the U.S. and Russian governments, with the assistance of numerous children’s rights and adoption advocacy organizations, spent years carefully crafting a bi-lateral agreement to expressly address those concerns and prevent further instances. This agreement was approved by both governments and came into force on November 1 of this year. The Dima Yakovlev Law is not a response to Russia’s concerns over the safety of its children--it is the misuse of a highly emotional children’s issue in attempt to manipulate the U.S. government. At this point, the Dima Yakovlev Law will become the law of Russia upon the approval of the Federation Council and the signature of President Vladimir Putin. We call on both the Federal Council and President Putin to withhold approval and remove all adoption related provisions. Children should not be used as political pawns. We suggest that U.S. citizens wishing to advocate for the continuation of adoption from Russia contact the Russian Embassy in Washington DC with your concerns as well your U.S. representatives and senators. In addition, you may wish to participate in a petition, authored by a U.S. citizen adopted from Russia, supporting the continuation of adoptions. That petition, entitled Voice of the Child, can be found here: http://www.gopetition.com/petitions/voice-of-the-child.html. The Department of State continues to follow developments in Russia’s legislature related to Federal Law No 186614-6 and remains actively engaged with the Russian government. We are concerned by measures in the bill, approved by the Russian Duma with overwhelming support today, that ban the adoption of Russian children by U.S. families. In order for this legislation to become law it requires approval by the Federation Council (the upper house of the Russian Parliament), and the signature of President Vladimir Putin. The Department has expressed concern to the Russian government that, if signed into law, this legislation will needlessly remove the path to families for hundreds of Russian children each year. To view the public statements by Ambassador Michael McFaul and the Department of State’s Spokesman on Federal Law No 186614-6, please visit the U.S. Embassy in Moscow’s website at: http://moscow.usembassy.gov/ and www.state.gov. The Department of State has not received any notice that adoptions to the United States are suspended, and both the Department of State and U.S. Citizenship and Immigration Services continue to work closely with Russian authorities on intercountry adoption issues as set forth in the U.S.-Russia adoption agreement. The United States is committed to upholding the provisions of the agreement negotiated between the U.S. and Russian governments, to strengthen procedural safeguards in the adoption process. Information regarding the passage of any legislation that affects U.S. citizens who are in the process of adopting a child from Russia will be posted on www.adoption.state.gov as it becomes available. Special Advisor for Children’s Issues Ambassador Susan Jacobs recently met with host government officials in Vietnam to discuss Vietnam’s current progress on adoption reform to meet obligations under the Hague Convention and improve child welfare. Vietnam became a party to the Hague Adoption Convention (the Convention) February 1, 2012, and is working on fully implementing a new adoption law, related decrees, and a public information strategy. On September 7, 2012 the Prime Minister of Vietnam approved the three-year National Project designed to implement the Convention. The United States continues to support Vietnam’s efforts to enhance its child welfare system and intercountry adoption process. Based on the information gathered from the Government of Vietnam and other adoption stakeholders, the Department is currently assessing whether consular officers will be able to certify that individual adoptions will comply with the Convention, the Intercountry Adoption Act of 2000, and U.S. implementing regulations. We continue to caution adoption service providers and prospective adoptive parents that important steps must still take place to ensure that adoptions between Vietnam and the United States will comply with the Convention, U.S. law, and implementing regulations before intercountry adoptions between the United States and Vietnam may resume. Adoption service providers should not initiate, nor claim to initiate, adoption programs in Vietnam until they receive notification from the Department of State that it will resume processing Convention adoption visa applications in Vietnam. Updated information will be provided on adoption.state.gov as it becomes available. On November 9, the Department of State posted a notice regarding the Ethiopian Ministry of Women, Children, and Youth Affairs’ temporary suspension of services to International Adoption Guides effective September 12, 2012. On December 4, the Ministry informed the U.S. Embassy in Addis Ababa that as of November 30, 2012, it lifted the temporary suspension on services provided to International Adoption Guides. The Ethiopian Ministry of Women, Children, and Youth Affairs requested the Department of State provide clarification to U.S. families on the licensing of the organization, EthioStork International Social Service Consultants. The Ministry informed the U.S. Embassy in Addis Ababa that the organization EthioStork is not licensed to facilitate intercountry adoption by the Federal Democratic Republic of Ethiopia Charities and Societies Agency. The organization is licensed to provide consultancy services by the Ministry of Labor and Social Affairs and social affairs counseling services by the Addis Ababa City Administration Trade and Industrial Development Bureau. For additional information on agencies licensed in Ethiopia to provide services related to intercountry adoption, please refer to the List of Adoption Agencies Registered in Ethiopia on the website of Embassy of Ethiopia in Washington, D.C. The following is an update on issues and developments in Guatemalan adoptions. We also take this opportunity to remind adopting parents and others that the U.S. government is not a party to these pending adoption cases and cannot represent the interests of parties in private legal matters. Thus, we may not be informed of or be entitled to receive information pertaining to proceedings in specific cases. From October 23-25, a joint USCIS-Department of State delegation traveled to Guatemala to meet with government officials from the Ministerio Publico (MP), the Procuraduría General de la Nación (PGN), the Guatemalan National Council on Adoption (CNA),and the Ministry of Foreign Affairs. In case-by-case discussions of the “Universal List” of all known pending grandfathered adoptions of Guatemalan children by U.S. citizen prospective adoptive parents, the visiting delegation encouraged Guatemalan officials to quicken resolution of all these cases in the best interests of the children, and to complete those cases while the PGN still has additional investigators funded through the end of 2012. During these discussions, Guatemalan authorities reiterated that some of the notario cases may not be able to proceed under the notario process when the investigation reveals that the case does not fall within the parameters of the relevant law. However, if a judge makes a finding of adoptability for the child, such a case may be considered eligible under the CNA’s acuerdo process. USCIS and the Department of State continue to work closely with Guatemalan authorities to bring pending cases to resolution. Since January 2012, the CNA has referred17 cases to the U.S. Embassy for final adoption processing as acuerdo cases, and has identified others that it considered eligible to move through the acuerdo process. Note: Only the CNA can determine whether cases are eligible under the CNA Acuerdo. The Office of Children’s Issues, USCIS, and the U.S. Embassy, if informed in a specific case, can only comment on whether or not the CNA has initiated the case, and if so, what documents the CNA requires. The Office of Children’s Issues can also provide general information on the CNA process. The PGN and CNA have informed the U.S. Embassy of approximately 85 children who are no longer available for adoption because the child was either reunited with the biological family or placed in domestic adoption. Upon receiving written confirmation of this from the Guatemalan government, USCIS informed the U.S. families associated with those cases. From May 1, 2012, until today, the U.S. Embassy in Guatemala has issued five IR-3 adoption visas. These visa statistics represent only the cases which have completed all processing steps with Guatemalan authorities, USCIS Guatemala, and the Consular Section of the U.S. Embassy. The U.S. Department of State and the Colorado Department of Human Services (CDHS) signed a final one year extension of the Memorandum of Agreement (MOA) that designates CDHS as an accrediting entity for Hague adoption service providers. The MOA will expire on November 29, 2013, or the date when the Council on Accreditation (COA) assumes oversight of all adoption service providers currently accredited by CDHS, (whichever date is earlier). CDHS will discontinue its role as an accrediting entity after the MOA expires. The U.S. Department of State, CDHS and COA are working closely to implement a smooth transition plan for the eight CDHS accredited adoption service providers, and will convey detailed information directly to the affected adoption service providers. Special Advisor for Children’s Issues Ambassador Susan Jacobs will visit Ethiopia from December 7-13. She will meet with Ethiopian Government officials to discuss intercountry adoptions and the implementation of the Pre-Adoption Immigration Review (PAIR) program. Jacobs will also meet with non-governmental organizations to discuss the importance of standards of practice to protect children and families. On December 1, 2012 the Hague Convention on Protection of Children and Co-Operation in Respect of Intercountry Adoption (Convention) entered into force for Lesotho. However, the Government of Lesotho notified the U.S. Embassy in Maseru that the Government of Lesotho is suspending receipt of new adoption applications from all receiving states until March 1, 2013, to give the country time to put a fully functional Convention process in place. The child was “officially matched” with prospective adoptive parents prior to December 1, 2012. The Ministry of Social Development defines an official match as one in which the match was made during a matching meeting chaired by a Ministry official, and involving representatives of Lesotho childcare facilities and adoption service providers. We caution adoption service providers and prospective adoptive parents that intercountry adoptions between the United States and Lesotho will not resume until steps are taken to ensure that intercountry adoptions from Lesotho comply with the Convention. Adoption service providers should neither initiate nor claim to initiate adoption programs in Lesotho until the Department of State notifies them that the Government of Lesotho has lifted its temporary suspension of intercountry adoptions and that Lesotho’s procedures meet the requirements of the Convention.